Percy Jackson fondo de pantalla. There is Grover, Percy, Annabeth, Rachel, Tyson, Luke, Clarisse, Nico, and thalia. 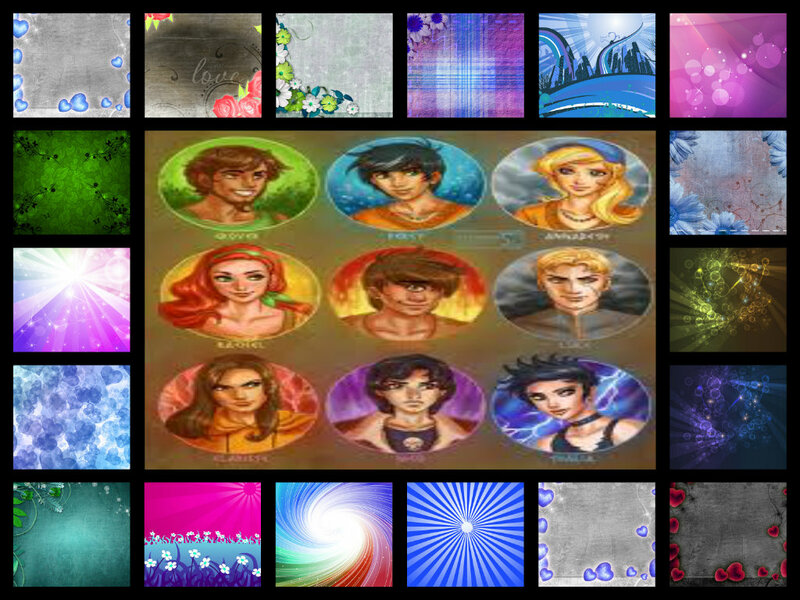 HD Wallpaper and background images in the Percy Jackson & The Olympians libros club. This Percy Jackson & The Olympians libros fan art contains vitral. There might also be animado, cómic, manga, historieta, anime, and dibujos animados.